Wisconsin School of Business recognizes Chairman and CEO Tom Stevens for his personal and professional accomplishments, as well as his commitment to service and philanthropy. 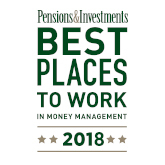 For a fifth year in a row, voted one of the Best Places to Work in Money Management. Los Angeles Capital is a global equity firm managing assets for leading institutions around the world. 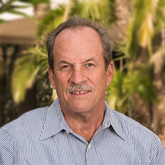 The firm is recognized as a pioneer in dynamic equity management, utilizing proprietary technology to engineer equity portfolios that adapt to today's equity market. The firm's senior investment professionals bring together three decades of investment experience to develop models for measuring and forecasting return and risk of global equity securities. Our quarterly newsletter provides investors with updates on the firm, products, and performance, as well as a featured research article. Available to qualified institutional investors.